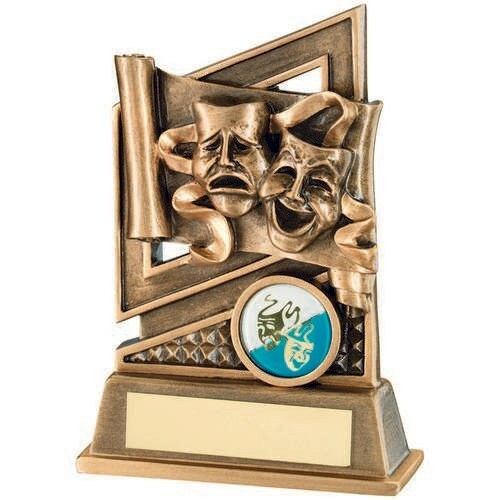 Bronze / Gold Look Drama Trophy featuring a Comedy and Tragedy Masks. This acting award is ideal for drama societies and acting clubs. Comes on a solid base which is ideal for engraving plate. the centre stickers circle can be left blank or you can choose centre's from our list displayed above or create your own custom design with your own club or school logo.